Team Training & Resources | Service Coordination, Inc.
SCI understands the impact and importance of supporting all team members to learn and grow. In a conscience effort to support and retain qualified, engaged and productive team members SCI enhanced our training capacity by adding an additional Training Specialist to the HR team. The addition of a Training Specialist along with working with the University of Baltimore is supporting us to streamline and maximize our efforts in training new and current team members. The mission of Service Coordination University will be to establish SCI as a learning organization with state-of-the-art quality training and development programs to maximize workforce service quality and to provide career development opportunities for all team members. 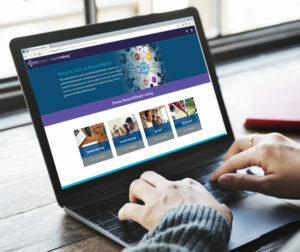 In 2018, SCI formed a partnership with NonprofitReady.org to develop learning and social networking technology using an online career development tool to provide SCI Team Members with access to a collection of e-learning and other training resources. The NonprofitReady.org learning platform offers customized curriculum to support the most common job families in the sector: Development, Leadership, Accounting and Finance, Operations, Marketing and Communications, Volunteer Engagement, and Program Management. This partnership presents the SCI Team with incredible learning opportunities, all at their fingertips and wherever they are.